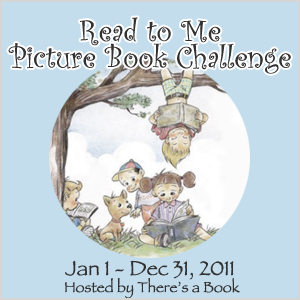 I first learned of this book when the 2011 Children’s Book Award winners was announced (our blog post can be found here). 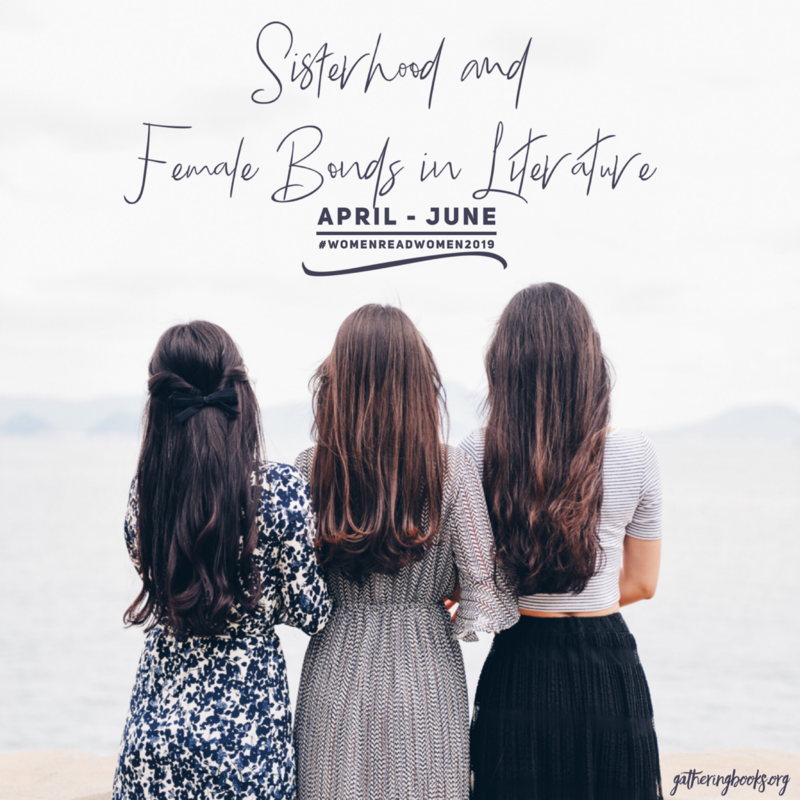 I knew then that I should find this book and feature it here in GatheringBooks. Our 8-day Black History Month special seems like a perfect time to do this. I am glad that I found the book lying around in our community library. This award-winning picture book is more than just your average children’s book with rhymes that put children to bed. It speaks of a heritage and sheer artistry that have been silenced for so many years and the unfailing capacity of this voice to be heard even after two hundred years have passed. This haunting haiku resonated in Carrick Hill’s ears until he began writing his own poem to celebrate Dave’s life – thus, the birth of this beautiful book I am now holding in my hands. 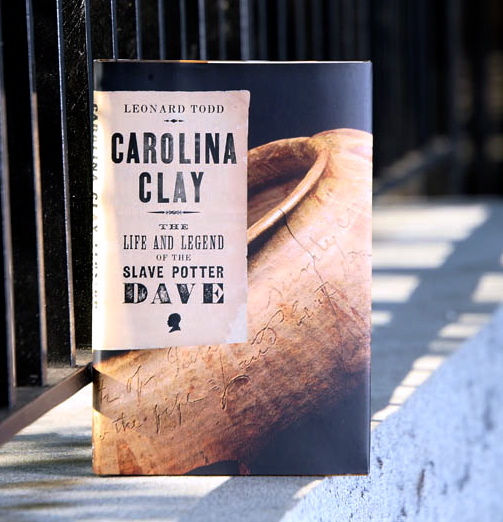 Carolina Clay: The Life and Legend of the Slave Potter Dave. 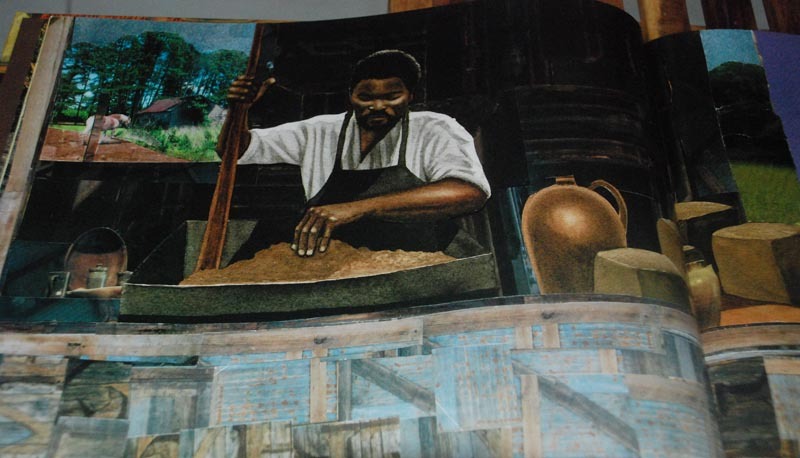 As I was sifting through websources that would make me understand Dave’s life better, I chanced upon this website by Leonard Todd that chronicles the life of Dave the Potter or Dave the Slave as he became to be known in Carolina. In a condensed version of Dave’s life as could be found here, it was noted that by piecing together tax records and the archives of Dave’s owners’ life history, it could be deduced that Dave was born around 1801 and that he was most likely born in America. a carnival’s wheel of fortune. And so “like a magician pulling a rabbit out of a hat” Dave’s dexterous fingers and keen eye would mould a vessel where none existed. Poetry that speaks loud and clear two hundred years later. 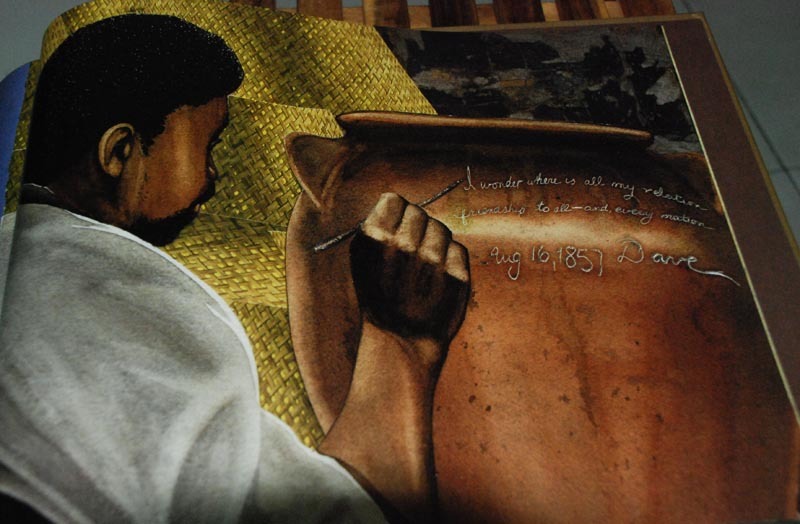 Carrick Hill shared that while most slaves were used for unskilled jobs, Dave’s life may be perceived as comparatively better than others since not only was he permitted to create these beautiful pots, he also knew how to read and to write. 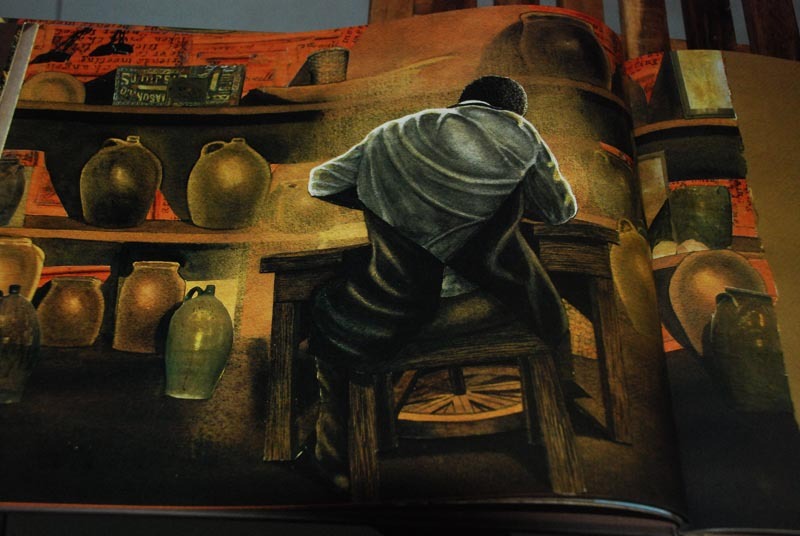 While it was not clear who taught Dave literacy skills, Leonard Todd hypothesized that it was most likely Harvey Drake, a profoundly religious man and Dave’s first known owner who may have shared the gift of letters to the enslaved potter. While it may seem whimsical to us at present to “leave a mark” similar to the commonly-found-watermarks created to signify one’s photos shared on the internet, leaving such inscriptions was actually life-threatening during the time of Dave the Poet. Recall that this was a period when white slave owners strictly forbid their slaves from learning how to read and write for fear that they would demand freedom and respect. Dave, aside from his beautiful artwork, was the only known chronicler of his time through the poetry that he would write down in his pots. The gifted Illustrator Bryan Collier. Click on the image to be taken to the websource. 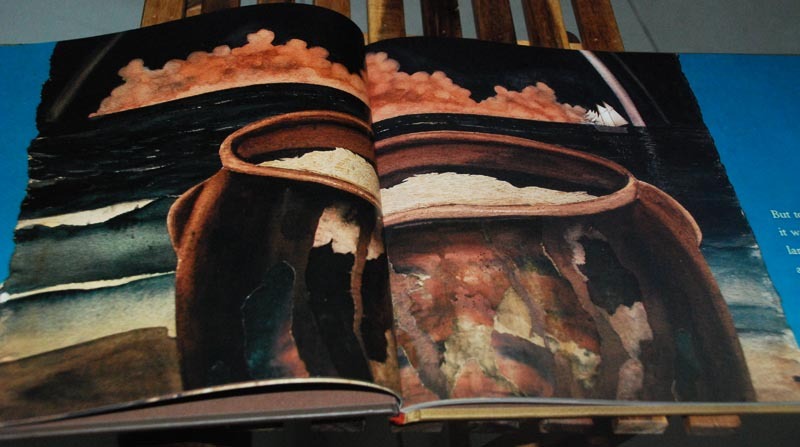 do his research as he was doing his inspired watercolor/collage images for this book. Here, he met the local potter named Stephen Ferrell who explained how Dave the Potter happens to be a central figure in the rich history of pottery created in the Carolinas (see youtube link at the end of this feature). 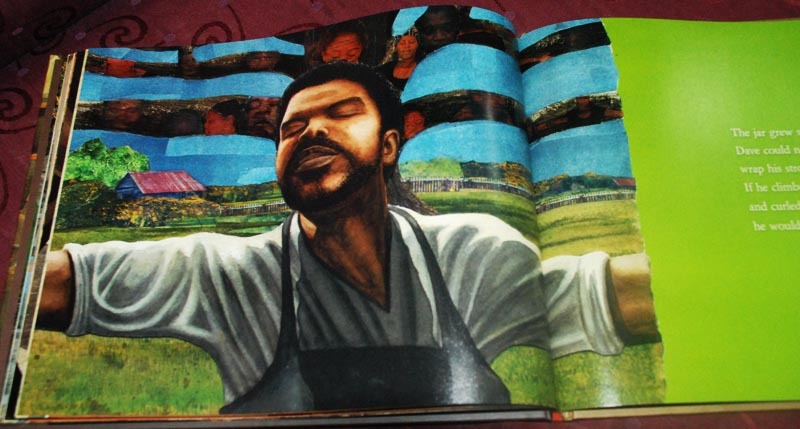 Throughout this book, certain images remind the reader that Dave was a slave – images of shackles and chains, and of slaves picking cotton in the fields. 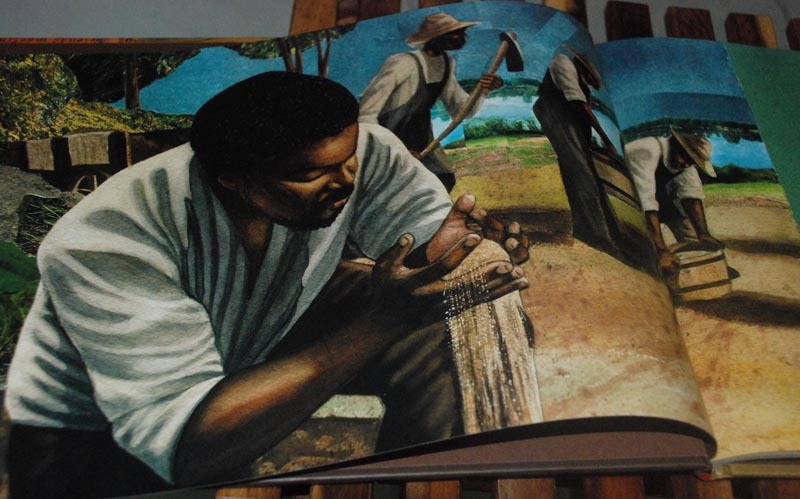 In many ways, Dave’s artistry may have served as his own glimpse of freedom, and a way of carving out a life under the brutal and dehumanizing conditions of slavery. Dave’s noble jars and verses blaze through the ages and speak profoundly of dignity to our generation and beyond. This one here is my favorite image of Dave – illustrating the human capacity to thrive and survive – and yes to celebrate Life, Love, and Beauty. I also found a youtube link that shows an interview with Steve Ferrell from Edgefield recounting the life and work of Dave, the potter, the artist, the poet, the slave. While the audio (and the entire video clip) leaves much to be desired, I figured that it might be helpful in painting a picture of this formidable man whose talent and craft managed to survive after centuries of silence and servitude. Resource for Educators. 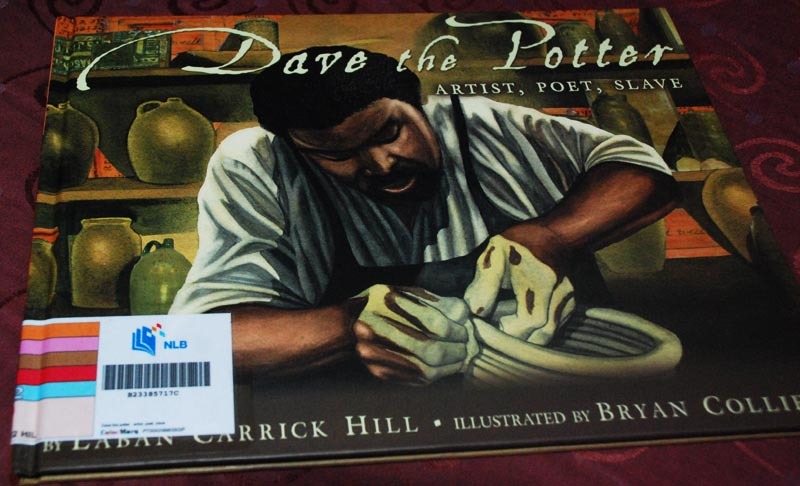 The picture book also included an educator’s guide to Dave the Potter. This website contains an overwhelming array of resources including possible curriculum materials, lesson plans, slide descriptions, and historical details that teachers can use to introduce Dave’s life to young minds and artists-in-training. 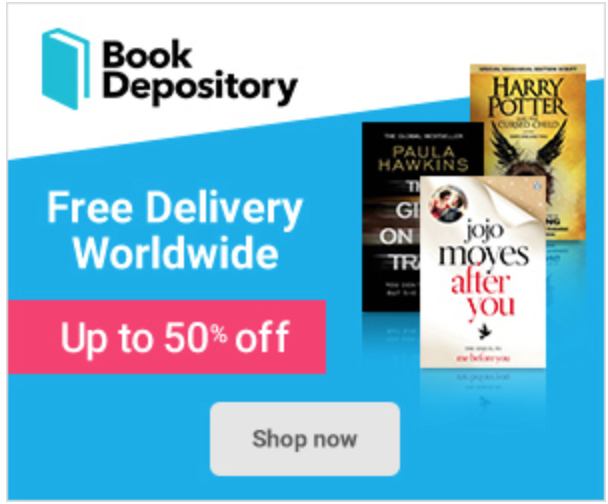 Wow, that book looks gorgeous! Fascinating story.